It has been confirmed that the Chairman of Leicester City was on board the helicopter that crashed moments after take off on Sunday evening. Leicester chairman Vichai Srivaddhanaprabha, two members of his staff, Nusara Suknamai and Kaveporn Punpare, pilot Eric Swaffer and passenger Izabela Roza Lechowicz have all been confirmed dead as a result of the crash. 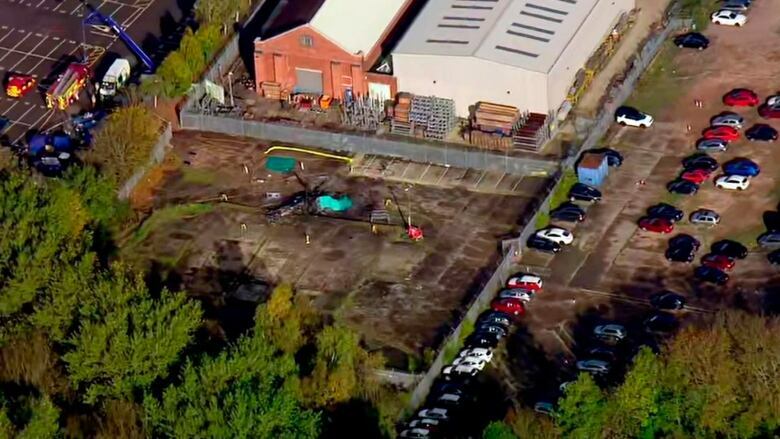 Leicestershire Police Superintendent Steve Potter said: "This is an incredibly tragic incident in which five people are understood have lost their lives. "The AAIB is now leading an investigation to establish the exact circumstances surrounding the crash and investigators will remain at the scene to complete their initial enquiries. "It is likely to take several days to fully complete the necessary work and to safely deal with the scene of this tragic accident, during that time we ask that both the media and public resist speculating around the cause of the crash. "We appreciate that both the public and media were keen to be updated on the circumstances and to confirm if those on board the helicopter had survived, but before any detail could be issued publicly, it was vital that all immediate next of kin were informed of the tragic outcome. "As our communities will understand, this was a matter that needed to be handled sensitively and with dignity, with the families of the deceased being at the heart of our response, which involved other agencies. "Our thoughts today are with the families of those who have sadly died, with Leicester City Football Club, and with both football supporters and the wider local community who have all been impacted by the events of last night and the news that those on board the aircraft have not survived." Meanwhile a club statement confirming the news was also posted on City's website. "It is with the deepest regret and a collective broken heart that we confirm our Chairman, Vichai Srivaddhanaprabha, was among those to have tragically lost their lives on Saturday evening when a helicopter carrying him and four other people crashed outside King Power Stadium," it read. "None of the five people on-board survived. "The primary thoughts of everyone at the Club are with the Srivaddhanaprabha family and the families of all those on-board at this time of unspeakable loss. "In Khun Vichai, the world has lost a great man. A man of kindness, of generosity and a man whose life was defined by the love he devoted to his family and those he so successfully led. Leicester City was a family under his leadership. It is as a family that we will grieve his passing and maintain the pursuit of a vision for the Club that is now his legacy. "Both Tuesday’s First Team fixture against Southampton in the EFL Cup and the Development Squad fixture against Feyenoord in the Premier League International Cup have been postponed. "Everyone at the Club has been truly touched by the remarkable response of the football family, whose thoughtful messages of support and solidarity have been deeply appreciated at this difficult time."